On display at our Vision & Voice Gallery in Middlebury, VT.
Ice Shanties is an exhibition about the structures, people and culture of ice fishing seen through the lens of Vermont-based Colombian photographer Federico Pardo - with audio reflections from the shanty owners drawn from interviews conducted by the Vermont Folklife Center. Vermont Farm Kids: Rooted in the Land is a documentary exhibit and film celebrating the lives of a diverse array of youth who have grown up in farming families. Photo: Maeve Leslie-Gawalt and Kate Wehmeyer on Cedar Mountain Farm in Hartland, Vermont. On display at Highland Center for the Arts, Greensboro, Vermont, through December 2, 2018. For nearly fifty years, Ethan Hubbard drove the back roads of rural Vermont in search of old-time Vermonters. In barns and fields, from forest walks to kitchen tables, Ethan’s photographic portraits and audio recordings transport us to rural Vermont and to the moments he shared with the people he met there. On display at the Bennington Museum through June 11, 2019. After Minnie Griswold passed away in 1952, her sons locked up their mother’s house in Pawlet, Vermont and left all her belongings in place, unaltered. Thirty years later, Pawlet documentarians Susanne and Neil Rappaport would enter the home at the invitation of one of the brothers, Charlie, and go on to produce a collection of hand-colored photographs of Minnie’s home. Staged as a part of the Pulp Culture Comic Arts Festival and Symposium, Green Mountain Pulp is an exhibit featuring Vermont cartoonists, comics set in Vermont, and the work of our three Pulp Culture keynote presenters: Alison Bechdel, Joe Sacco and Art Spiegelman. On display at the Bailey/Howe Library at UVM through March 11. The Dames is an exhibition of oral history recordings and photographic portraits featuring thirteen members of the Vermont Society of the National Society of Colonial Dames of America. ON DISPLAY: Manchester Community Library, Manchester Center, VT, through July 11, 2018. West Fairlee rug braider Delsie Hoyt was inspired by the unique creative vision that her Great-Grandmother, Annette “Nettie” Nelson, of Ryegate, Vermont, brought to the craft over a century ago. “I seek to challenge conventional notions of what a braided rug can be through experimental designs that range from swirling galaxies to pastoral Vermont landscapes,” explains Hoyt. Discovering Community proudly presents a showcase of documentary media pieces produced by students working in collaboration with our educational outreach programs locally and internationally. Let us celebrate their accomplishments with an opportunity to view their work and learn from the young minds behind the projects. Completed during classes, workshops and after-school programs at schools and non-profit organizations around the state—and beyond—the array of projects in Vermont span from documentary films and photography, to podcasts, and artwork made by students from elementary to undergraduate levels. Stories gathered by youth nationally and internationally enter the conversation through our collaborative working partnerships with the World Story Exchange, Conversations from the Open Road, Stories of Hope, and the Freedom and Unity project. The Vermont Folklife Center’s Discovering Community model gets students out of the classroom to learn from their diverse communities—using media-making tools to document and ultimately share their experiences. The program supports educators in providing the context for students to achieve required proficiencies through real-life learning, and holds the potential to promote personal growth by deepening students’ understanding of themselves and others. It can also enhance students’ sense of identification with, and caring for, their home community and help to ensure their future involvement in its civic life. Discovering Community Education Sponsors / Bay and Paul Foundations, Victoria and Courtney Buffum Family Foundation, Jane’s Trust Foundation, Walter Cerf Foundation, Orton Family Fund, Robin Foundation, and private contributions of our many members. Exhibit underwriters / Cabot of Vermont, Rotary Club of Middlebury, VT, Vermont Community Foundation, and the Vermont Arts Council. Who would milk the cows? Migrant Mexican farm workers began arriving on Vermont dairy farms almost seventeen years ago and continue to work here living hidden lives. Through intimate photographs and interviews, this exhibit strives to create a revealing portrait of dairy farmers and their Mexican employees and offer a glimpse into their interdependent lives—exploring who they are and what they hope for. In 2008, there were an estimated two thousand migrant Mexican farm workers in Vermont helping to produce more than half of the state’s milk. In Addison County alone, there are about five hundred Mexican workers. They are primarily young men helping to sustain a working landscape while supporting their families in Southern Mexico. This important population has been in Vermont for almost seventeen years, yet remains mostly invisible despite contributing to communities. The Golden Cage Project shares faces and voices of fifteen Addison County dairy farmers and migrant Mexican workers in a nonjudgmental and educational environment. The project’s goal is to provide a more human perspective on issues that are often politicized and overshadowed by law and policy. 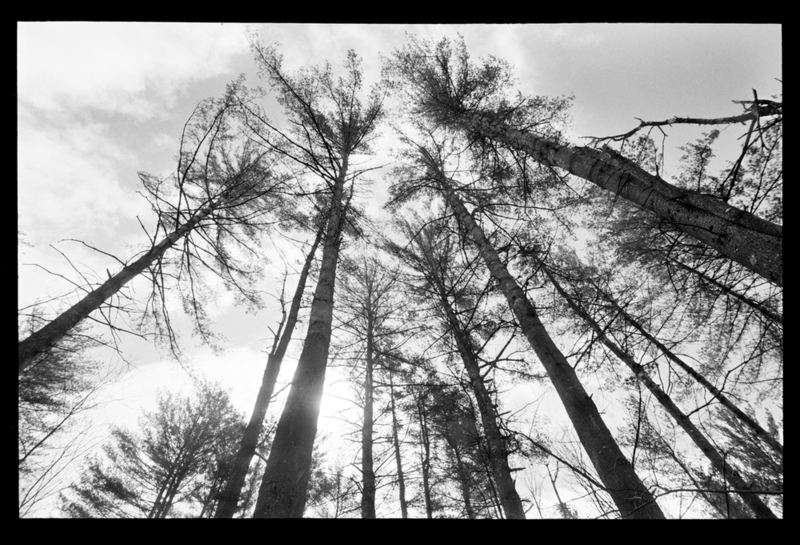 Conceived by former Vermont Migrant Education Program tutor Chris Urban whose work teaching English brought him to farms around Addison County, the exhibit pairs photographs by Caleb Kenna with audio and text excerpts from interviews conducted by Chris Urban. This exhibit is available to travel! Click below to learn more about the Golden Cage as a traveling exhibition. On display at the Hartness Library of Vermont Technical College in Randolph, VT through May 2019. In Their Own Words is a collection of personal histories from refugees who are living in Vermont. These narratives offer a glimpse into the remarkable diversity of life experiences that refugees bring to our community. While most Vermonters will never know how it feels to be a refugee, there is value in trying to consider perspectives that differ greatly from our own. These individuals have offered to share their lives as a way to deepen public understanding of a group of Vermonters that is growing every day. Pairing photographs and interview excerpts, In Their Own Words profiles the experience of families and individuals whose lives have been disrupted by warfare, political violence, or discrimination and have come to Vermont as refugees. They hail from places as diverse as Somalia, Bosnia, Burundi, Rwanda, Vietnam, Sudan, and Uzbekistan and share the common challenge of starting new lives in a very different cultural setting. The exhibit consists of thirteen groups of images, each featuring a different family or individual. The focal point of each set is a photographic portrait, which is accompanied by interview text presenting an important aspect of this person’s experience. Two additional photographs are the joint creation of photographer and subject adding another layer of visual information to the story. The photographs in this exhibit were all created in 2007 and began when photographer Ned Castle met two brothers from Rwanda. As Ned’s friendship with these young men deepened, he was drawn into their stories and created a pairing of image and text to honor them. Working with the assistance of the Vermont Refugee Resettlement Program and the Association of Africans Living in Vermont, Ned’s network of connections expanded and the photographic project grew from there. The educational materials designed around the exhibit focus on three primary questions for students and teachers to explore: what does it mean to be a refugee; what does it mean to be a Vermonter; and what kinds of stories can photographs tell? The educational guide is designed to aid teachers by providing discussion questions and activities that can be used prior to, during, and following a field trip to see the exhibit. These materials are merely a guidepost and teachers are encouraged to personalize these materials to fit the needs of their class. IMPORTANT NOTE: Some of the written content of the exhibit contains information that should be approached carefully with younger students. Educational materials have been prepared for all age ranges (including PreK-4); however, teachers should take care when approaching concepts and learning experiences that are more naturally suited for older audiences. When Samuel de Champlain named the land south of the St. Lawrence River Les Verts Montagne in 1609 he was recognizing the obvious. This new land was almost entirely forested from valley floor to mountain ridge. 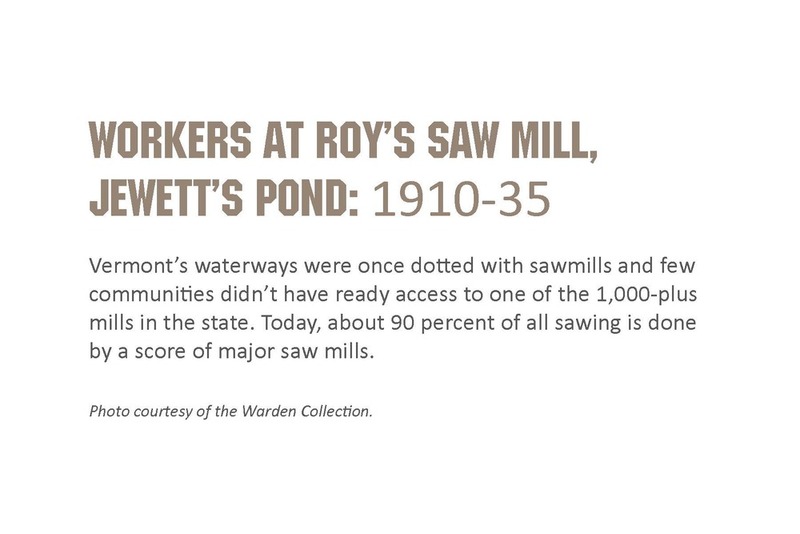 By the mid 1800s, Vermont had been transformed into a mosaic of open land and forests—settlers with their axes and oxen having cleared nearly 80 percent of the formerly forested landscape. Today, that 80/20 ratio has been nearly reversed, testament to how quickly man and nature shape the land. 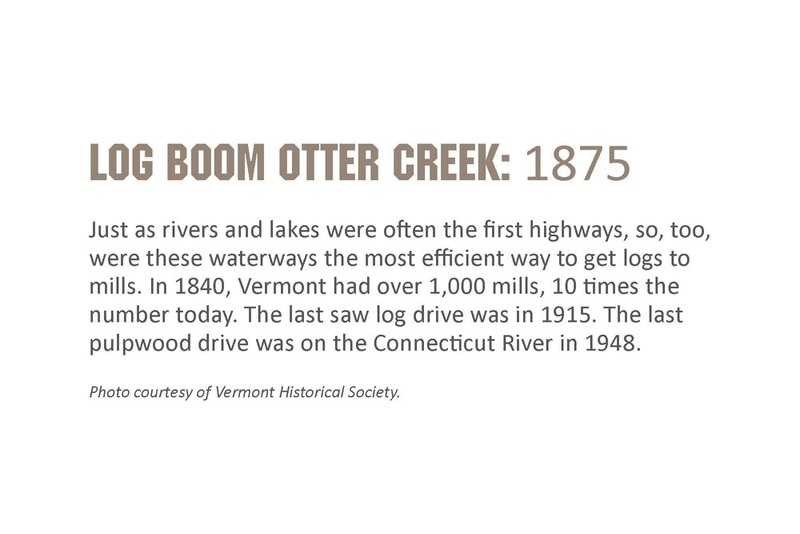 Vermont, the Green Mountain State, is once again one of the most heavily forested states in the country. Portrait of a Forest: Men and Machine documents how the forestry community continues to shape the land today and asks: What does it mean to be stewards of a working forest? For the past decade, George Bellerose has been reading industry magazines, attending policy and program conferences and round tables, interviewing experts from the forestry community, and, above all, spending time in mill yards, on back roads, and in the forest with loggers. 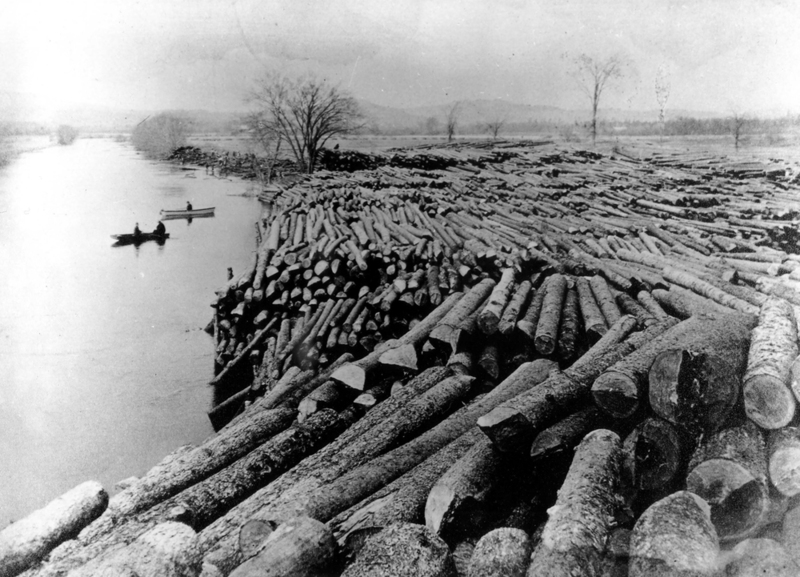 The relationships Bellerose built led to unique access and knowledge given from logger to photographer. 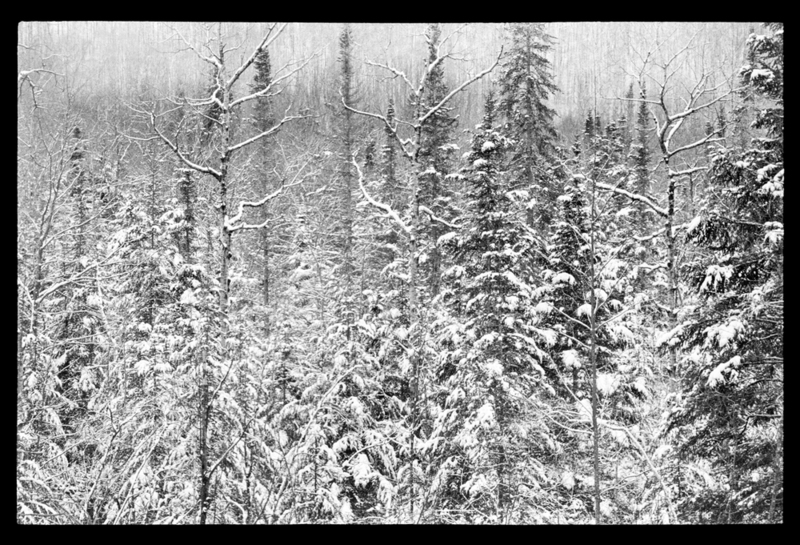 Working together a portrait of the forest emerged. "I spent 30 years as a forester working with landowners. Being commissioner for the past three years has given me the chance to see the complete supply chain. We are making progress in understanding the role of forests and forestry, but we need greater understanding of all elements—loggers, foresters, mill owners, truckers, retailers, artisans, and the public. Forests provide clean water, the natural infrastructure for our recreational activities, the scenic backdrop for our tourism economy, and ecological resilience during flooding and climate change. I haven’t even mentioned the one billion dollars plus that wood products add to our economy. It’s a major part of our economy and foundational to our rural economy.But we take this green backdrop for granted. When I speak as the foliage guy with the tourism folks, I hammer away that foliage is not an accident. It’s because of the people who work the land.I tell them that working forests are our last best hope to keep forests as forests." 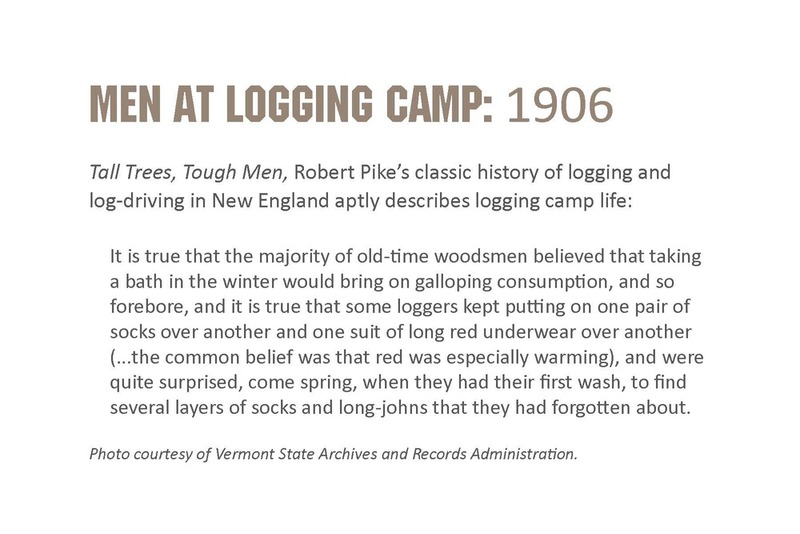 Forestry has shaped Vermont since settlers cleared the land for cows, crops, and homesteads. How Vermont will look in the coming decades will continue to be shaped, today and by generations to come, by those who work the land. This exhibit is available to travel! 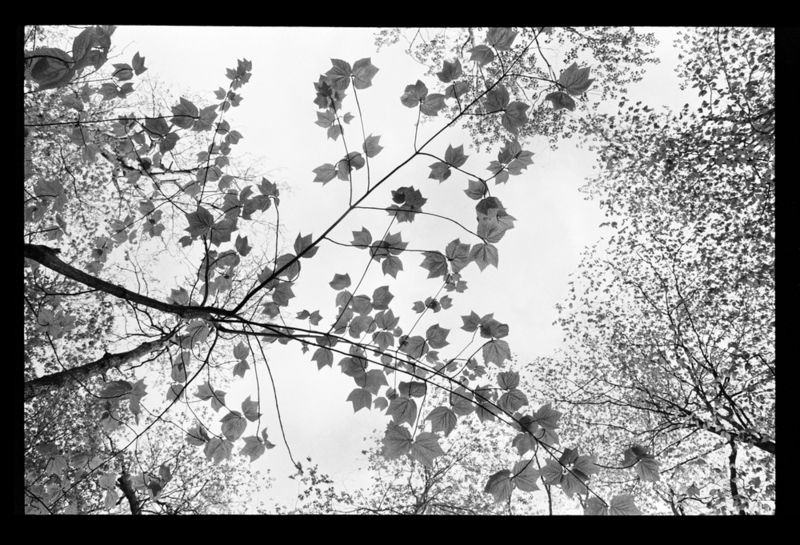 Click below to learn more about Portrait of the Forest as a traveling exhibition.